Tampa is a large city that is located in the central portion of Florida's west coast. It is the county seat of Hillsborough County and a part of the Tampa Bay Metro Area. Tampa is also just a short drive away from the Gulf of Mexico, Saint Petersburg, Clearwater and Lakeland. The territory known as Tampa today was first occupied by Pohoy and Tocobaga Indians. However, during the 16th century, the Indians were wiped out when Spanish explorers brought diseases to the area. After the U.S. gained control of Florida in 1819, an outpost named Fort Brooke was built near the Hillsborough River. After this, the town grew rather quickly and was incorporated as a city in 1849. At this time, the city was mainly dependent on the cigar industry and the railroad. Today, Tampa is a bustling city that is the home to a vast array of businesses, attractions and beautiful communities. Becoming a Tampa home buyer will provide you with access to over 100 gorgeous parks located within the city. One of the more popular parks in the area is Al Lopez Park, which can be found on North Himes Avenue. This park offers many fantastic amenities including baseball fields, a dog park, playground equipment, walking trails, picnic tables and barbecue grills. Another favorite park located near Tampa FL homes is Highland Pines Park, which you will find on East 21st Avenue. In this park, you can enjoy such amenities as tennis courts, a spacious playground, jogging/walking trails, baseball fields, picnic shelters and grills. Other parks you may want to visit in the Tampa area are Temple Crest Park, Robles Park, Palma Ceia Park and Cypress Point Park. Finding exciting attractions near real estate in Tampa is extremely easy. There is a vast array of locations here that offer fun activities for people of all ages. The area is known best for its glorious beaches, and some of the most popular ones include North Beach, Clearwater Beach, Greer Island Beach and Siesta Beach. If you are searching for kid-friendly attractions near Tampa properties, you and your family may enjoy such locations as the Florida Aquarium, Tampa's Lowry Park Zoo, Adventure Island and Busch Gardens. Does someone in your family enjoy golf? If so, they will want to visit Old Memorial Golf Club, Westchase Golf Course and Countryway Golf Club. People living in Tampa real estate have the opportunity to celebrate several times a year during a variety of special events held within the city. A favorite event among residents is the Annual Smoke on the River, which is held in November. Highlights of this event include a chili cook-off, beer tasting, food trucks, live music and a cozy bonfire. During the month of January, you will want to be sure to attend the Gasparilla Pirate Festival. This event features such festivities as an exciting parade, live music, food vendors and fun performances. Other events that take place just minutes away from Tampa homes for sale are Tampa's Oktoberfest, Chilling Music Fest (September) and the Florida Viking Fest (October). Have you been searching for a place to settle in Florida where there are numerous employment opportunities and fun things to do? If you have, give our Tampa real estate agent a call. 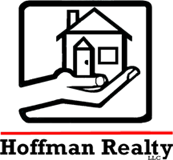 There are many fine homes for sale in Tampa that may be just what you have been looking for. End your search now and let our Tampa realtor help you find your next home!